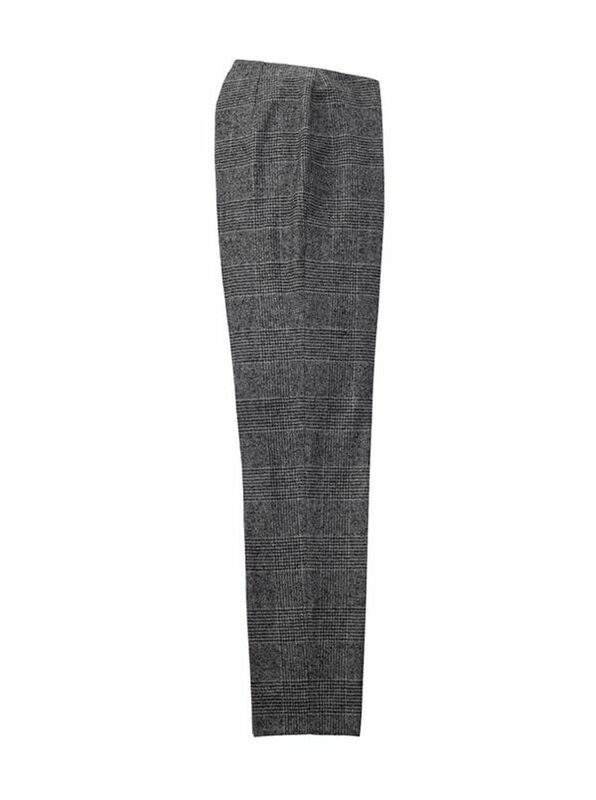 Muted Glen Plaid Slacks by Bernard Zins to add some classic chic to your wardrobe. Tailored of 90% wool/10% poly, on Zins beltless model, with front zip, tapered leg, full-length. Imported.